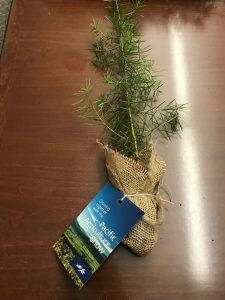 Agriculture | Burnaby Bag & Burlap Ltd.
Cabbage bags are 24″ X 36″. They are solid green mesh with black draw string. Packed 1000 bags per bundle is your best value but as always we will sell in smaller quantities. Bag will hold approximately 50 lbs of produce. These bags are also suitable for corn. 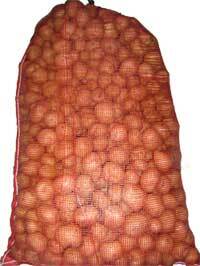 Our onion bags are sold in 10 lb, 25 lb and 50 lb sizes. These bags are red poly mesh complete with a draw string top. There are no minimum orders. 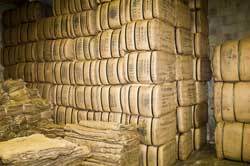 You can buy singles, in bundles of 100 or in bales of 2,000 pieces. These bags are also used for potatoes. 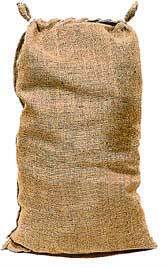 Our potato bags are sold in 50 lb. and 100 lb. sizes. All are sewn from 7 oz burlap. 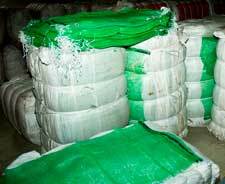 There is no minimum quantity but full bales (1000 bags) are your best value. The bags are then hand or machine sewn shut depending on desired appearance. Also available for hand sewing are spring eye needles. We can provide bags in many different sizes, colours and styles. If you are interested contact our sales department for more information and quotes.